The community-driven phenotyping platform, Face2Gene, is used by 70% of the world's geneticists across 2,000 clinical sites in 130 countries. Developed by the Boston-based company FDNA, Face2Gene is based on a novel facial image analysis framework, DeepGestalt, that uses computer vision and deep-learning algorithms that highlights the facial phenotypes of hundreds of diseases and genetic variations. A team of scientists led by researchers at FDNA published a study in Nature Medicine on Jan 7, entitled “Identifying Facial Phenotypes of Genetic Disorders Using Deep Learning”, on the use of facial analysis in detecting genetic disorders. The paper outlines how the technology transforms phenotyping—the capture, structuring, and analysis of complex human physiological data. It was trained on a dataset of over 150,000 patients. For a deeper explanation of how the deep convolutional neural networks (DCNN) technology works, see the figure below. For this study, 17,000 patient images representing more than 200 syndromes were used. The paper reports that DeepGestalt achieves 91% top-10-accuracy in identifying the correct syndrome on 502 images and outperformed expert clinicians in three experiments. Paul Kruszka, M.D., MPH, clinical geneticist in the medical genetics branch of the National Human Genome Research Institute, tells GEN that Face2Gene is useful to diagnose dysmorphology syndromes which typically affect roughly 1 in 30,000 people. He notes that the Face2Gene program is something that he uses readily and, when he goes to meetings with his colleagues, almost everyone has the app on their cell phone. Karen Gripp, M.D., chief of the division of medical genetics, Nemours/Alfred I. duPont Hospital for Children, Chief Medical Officer at FDNA and co-author of the paper tells GEN that the importance of this paper is in the detailed description of how the algorithm was trained and how it functions. There are other systems out there, but none with as many number of cases and conditions being analyzed. This paper creates a standard to compare other systems to and a reference for other work that uses the tool. 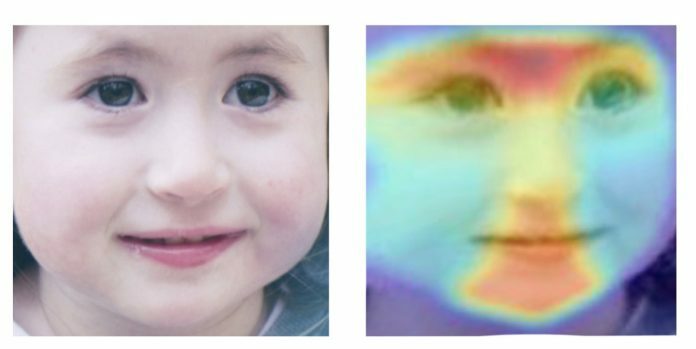 She adds that the paper emphasizes how AI can help work in precision medicine and uses the concept of facial phenotyping as a launchpad that could be applied to other imaging systems. Kruszka notes that he has seen firsthand how well this type of technology performs. At a meeting, last summer in Banff, Charles Swartz, Ph.D. senior research scholar at the Greenwood Genetic Center in South Carolina performed a demonstration during his presentation. In a room full of clinical geneticists, he projected many faces of people who had been diagnosed with varying dysmorphic diseases and asked the physicians to assign a genetic disorder to each face. Suffice it to say, the physicians performed poorly – far worse than the computer. Kruszka notes that this is not surprising because the computer does not face the same limitations as a physician and, as a result, has seen and analyzed thousands of training cases. One of the most exciting aspects of the program, adds Kruszka, is its ease. After asking just one question to a patient, “is it ok if I take a picture?” and snapping a quick photo, the program offers results back within seconds. “You can’t rest a diagnosis on this” notes Kruszka as the standard of care is still a molecular diagnosis. But, a tool that gives you a place to start is very valuable. Kruszka notes that it is very advantageous to know about genetic syndromes early for multiple reasons. For example, there may be therapies available. Parents who may be worried about recurrent risk in subsequent pregnancies could seek genetic counseling. Many patients of rare genetic diseases have other health concerns or complication. Also, a diagnosis can alleviate a lot of mysteries and stress along the way – from not meeting developmental benchmarks to challenges in school. Kruszka’s team has published four papers using a similar but inferior (according to Kruszka) algorithm in diverse populations. Their results show that the technology becomes more accurate for a specific ethnic population when that population is separated out from other groups, suggesting that focusing on diversity is incredibly important. James Lupski, M.D., Ph.D., D.Sc. (hon) professor, department of molecular and human genetics and professor of pediatrics, Baylor College of Medicine tells GEN that one of the reasons why this technology is so important is because “the field of clinical genetics and dysmorphology is a ‘dying art’ – few people truly develop this ‘skill-set’.” Kruszka adds that only about 20 people are trained in clinical genetics each year. It is most important, notes Gripp, to recognize that this paper shows the potential that AI can bring to precision medicine in general, beyond just facial recognition and that it is just one example of the tools that FDNA is actively working on to bring this technology to a larger scale. Although Face2Gene is the main product that operates on the DeepGestalt technology, FDNA is in the process of developing embedded solutions operating on this technology that can be licensed to other healthcare and tech organizations so that they may integrate the technology within their own platforms.